I found this recipe in the back of Hershey cocoa powder container. 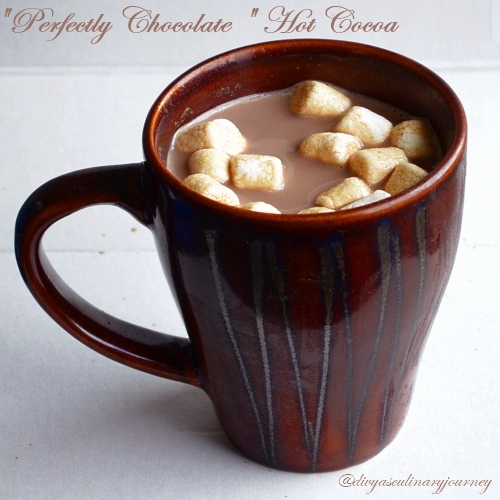 It is the "Perfect Chocolate'y" Hot Cocoa. It is for the single serving. Of course, the mug has to be big. I really don't understand the combination of hot cocoa and marshmallows but my daughter always wants them together. So if I have to lighten up her mood, bribe her for something this hot cocoa really works very well. But Hubby sure does complain about the sugar in it. So taken in moderation, it is definitely a delight. Mix cocoa powder, sugar and salt. Heat the milk in microwave for 1 and 1/2 minutes or until its hot. Then add 1/4 cup of hot milk to the cocoa mixture, stir well until they are well mixed without any lumps. Add the rest of the milk, vanilla extract and mix well. 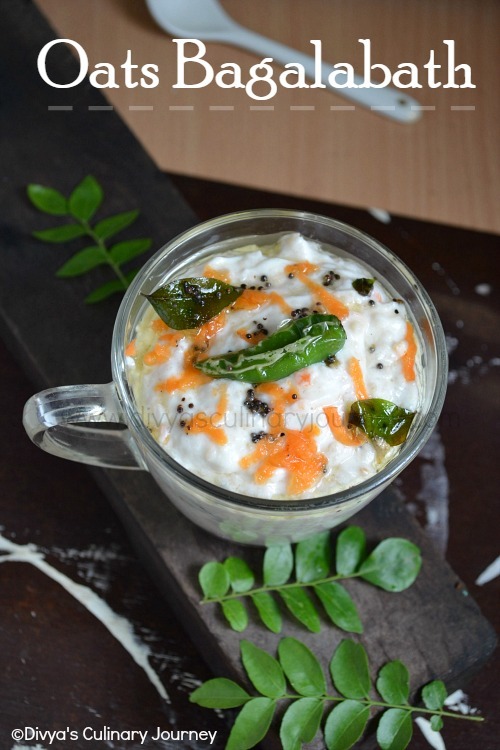 Serve hot as is or serve with marshmallows. Not only children, I loved this too. Lovely clicks dear. Umm. Great drink and a great mug. lovely clicks and a super drink!! liked the first click :) love this choco filled mug.. Seriously i want that cup of hot cocoa rite now, yummy drink. Yummy chocolate drink....Like to have a try.. Loved the first picture, such an inviting.. 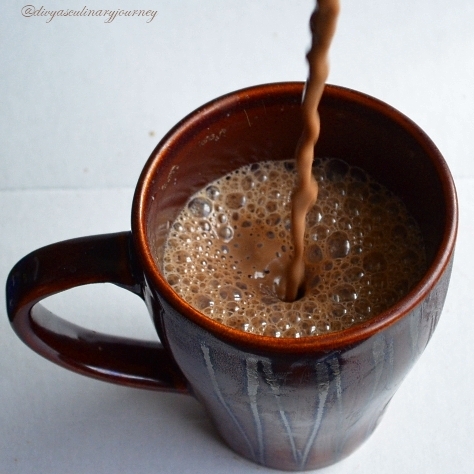 Delicious hot chocolate.. Love the clicks, especially the first one.